If you fancy something to dip your chips in, an alternative to mayo in your chicken sandwich or something to fire up your fish, this is a perfect quick sauce to scare the people near your face. Unless they’re eating it too. Obviously the amount of garlic you put in is up to you, I like mine to be fiery and to give you the feeling your blood is thinning as you go near it. This keeps in the fridge for two to three days if well covered. I’ve been known to have a surreptitious spoonful when no-one’s looking. You’ll get found out though. 1 large clove of garlic, finely minced. 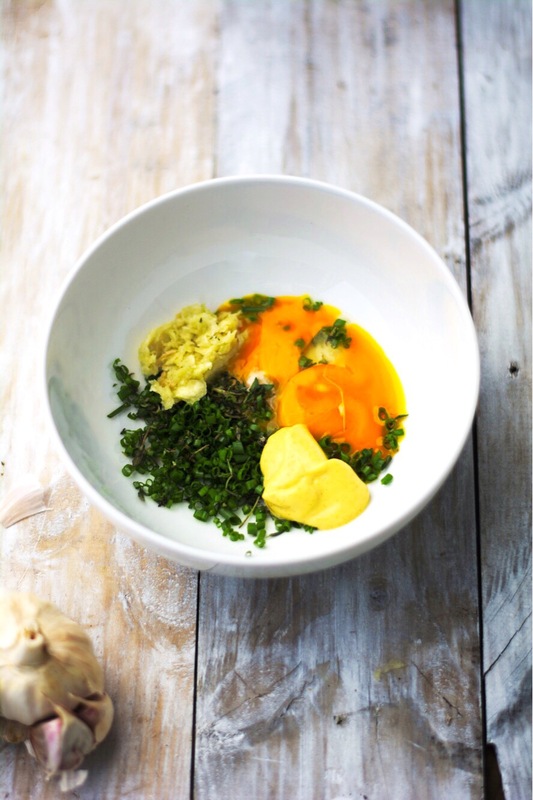 Whisk together the egg yolks, mustard and a pinch of salt. Slowly whisk in the oil, at first drop by drop (you can speed up when it starts to emulsify) until you have a thick emulsion. Add the garlic and herbs, stir in the lemon juice or vinegar to taste and adjust the seasoning. Use straight away or cover well and keep in the fridge for up to three days.